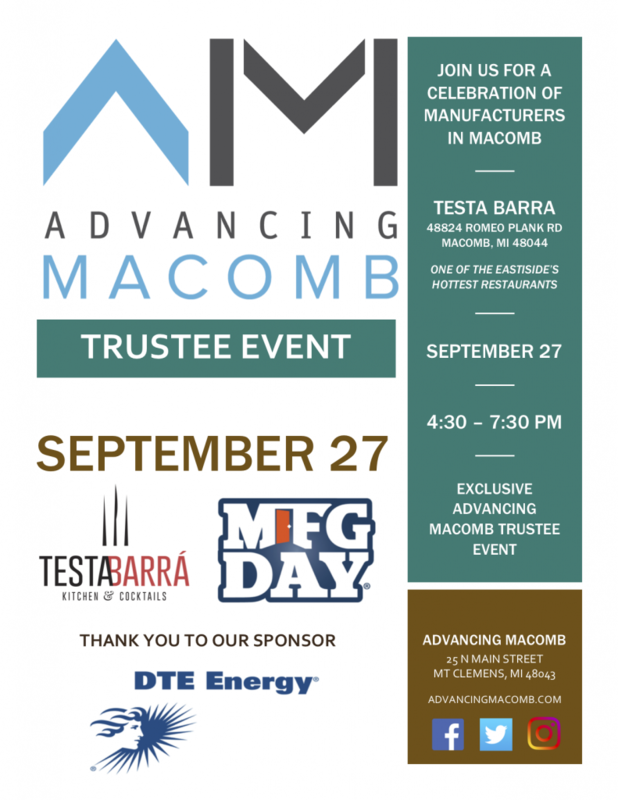 The next exclusive event for the Advancing Macomb Trustees will be held on September 27, 2018 from 4:30 p.m. – 7:30 p.m. at Testa Barra – one of the Eastside’s hottest restaurants. We will be celebrating manufacturers in Macomb County in advance of Manufacturing Day 2018. This event is generously sponsored by DTE Energy. If you are interested joining the Advancing Macomb Trustee group, please contact Melissa Roy at melissa@advancingmacomb.com for more information.